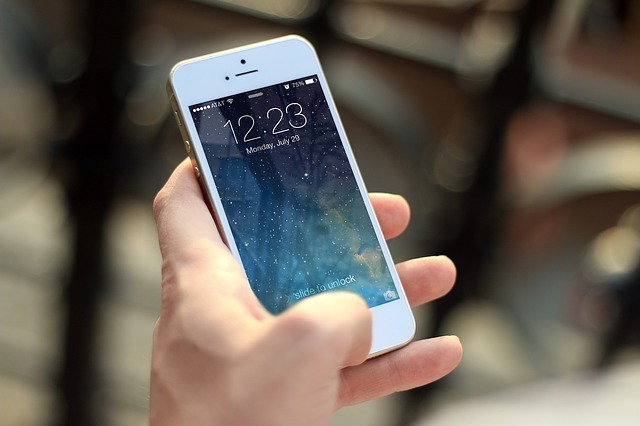 Push notifications are a communication channel built into every mobile device sold today. Push notifications allow apps to reach out to users with short messages that users may respond to. A push notification is a message that pops up on a mobile device. App publishers can send them at any time; users don’t have to be in the app or using their devices to receive them. Push notifications look like SMS text messages and mobile alerts, but they only reach users who have installed your app. Each mobile platform has support for push notifications — iOS, Android, Fire OS, Windows and BlackBerry all have their own services. What can you use push notifications for? Push notifications can provide value to both end users and the business. Users can receive convenient updates in real time, such as weather reports, news updates or flight information. Businesses, on the other hand, can communicate directly to the user and encourage him or her to use the app via specific call-to-action messaging. Push notifications can increase click-through rates, promote products or offers and drive users to other marketing channels. Push Notification Services came out ten years ago, so there’s a huge variety available on the market. The number of these platforms increases every day, and it is difficult to find the one that fits our needs best. OneSignal is a Push Notifications Service company supporting multiple platforms. It can send both web and mobile Push Notifications and email. OneSignal was founded in 2014 and its founder is George Deglin. Price: It is free but it also has a premium plan, if you want that. Amazon Simple Notification Service has been on the market since 2010. It is compatible with Amazon Web Services (AWS). It allows app’s owners to send app Push Notifications to several platforms such as Android, iOS, Windows Phone, etc. It’s also has a feature to send Push Notifications directly from the cloud. Pusher Beams is an API for mobile app developers to add Push Notifications sending capability to their apps. The tool developed by Pusher company was launched in 2011 in London, UK by Max Williams. The Beams tool provides a hosted service to manage the device token life cycle for iOS and Android applications and Insights to track delivery acknowledgment and open events directly on the device. A Debug Console helps developers troubleshoot issues in real-time. Pusher Beams is used by more than 10,000 app developers, and notable companies like DraftKings, Dialpad, and VirginPulse. With Beams, over 90% of notifications are delivered in under 60 seconds, whether developers are sending them to one device or a million. Debug Console featuring a real-time notification life cycle event log. Price: Free account up to 2,000 monthly active users, Pro Plan – $100/month, Business Plan – $400/month, Enterprise plan – custom pricing. Price: Urban Airship provides you a demo upon request. The prices are flexible which depends upon the needs of the user. Braze, formerly known as AppBoy, is a marketing automation company, founded by Mark Ghermezian, Bill Magnuson and Jon Hyman in 2011 in NY, US. Helping app owners to solve app abandonment problem, increase engagement and reduce churn. Appboy features a sophisticated user profile system, advanced customer segmentation, and multi-channel messaging (email, News Feed, Push Notifications, in-app messages), all these tools allow brands to be efficient at cultivating relationships with their customer base. Among the company’s clients are clients like iHeart Media, Gannett, Urban Outfitters, Epix, and Shutterfly. During 2011-2014 period the company went through 4 funding rounds and secured $22.5M in total. Build email campaigns with multichannel marketing. Kumulos is a platform for mobile app and software development companies. Mobile marketers can send a Push Notification Service with its dashboard and easily manage campaigns, as well as reports on the results. The features include: Push Notification Services, Crash Reporting, Industry Leading mBaaS, App Store Optimization, Crash Reporting, Analytics, Agency Console, Client Portal and much more. Track results directly in the white label push notification dashboards. View delivery and open rates are broken out by time and platform. Pricing: It has three plans: The Startup Plan,The Enterprise Plan and The Software Development / Mobile App Agency Plan. SWRVE is one of the top mobile marketing automation companies. Its highlighted feature is its WYSIWYG mobile screen editor. It also has a personalization feature regarding sounds and alerts. It also provides banners on locked screens and analytics. It has a high-profile client list such as Electronic Arts, Sony, Samsung and HTC. SWRVE is designed to track user’s behavior and purchases, conduct A/B testing, deliver push notifications and in-app marketing campaigns. The platform aims to increase the business of your mobile app by building a more profitable relationship with your users and does it by tracking segmentation, KPIs, conversion rates, engagement, and monetization. Price: Prices are fixed upon request. Catapush is a web and app Push Notifications company, founded in April 2015 in Italy. Catapush’s platform empowers corporations with the 2Way communication system, which sends data-driven transaction related Web and Push Notifications, each sent message is assigned a real-time status – sent, delivered, read. The company’s competitive advantage over its competitors is that it offers developers and businesses a real-time communication channel with their customers. Above 25,000 recipients – a custom pricing. Adpush is a US-based push notification sending platform. Its mission is to help companies to bring their visitors back on their site and (or) mobile app. Offers to target based on geo-location, signup URL or time zone. Price: Adpush offers free trial with three paid plans – The Starter Plan,The Professional Plan and The Enterprise Plan. The prices are ranged from $16/month for 5000 subscribers to $300/month for 500000 subscribers. Mapp Digital is a global marketing technology company, formerly known as Teradata’s Digital Marketing division. Next, to push notifications, Mapp offers a variety of in-app plugins to provide app publishers with additional ways to interact with their customers. These include a Message Inbox, Customer Feedback form, and an Offer Wall. The Mobile Push module is part of the Mapp Customer Engagement Platform which is designed for multi-channel campaign execution (Email, Mobile Push, SMS, Social Media, Web). In addition, Mapp also offers a Data Management Platform (DMP).